Fire fighters are trying to contain a fire breakout in a section of the 20th Century building that broke out this afternoon. The 20th Century building is located in Nairobi Central Business District on Mama Ngina street in the busy streets of Nairobi. 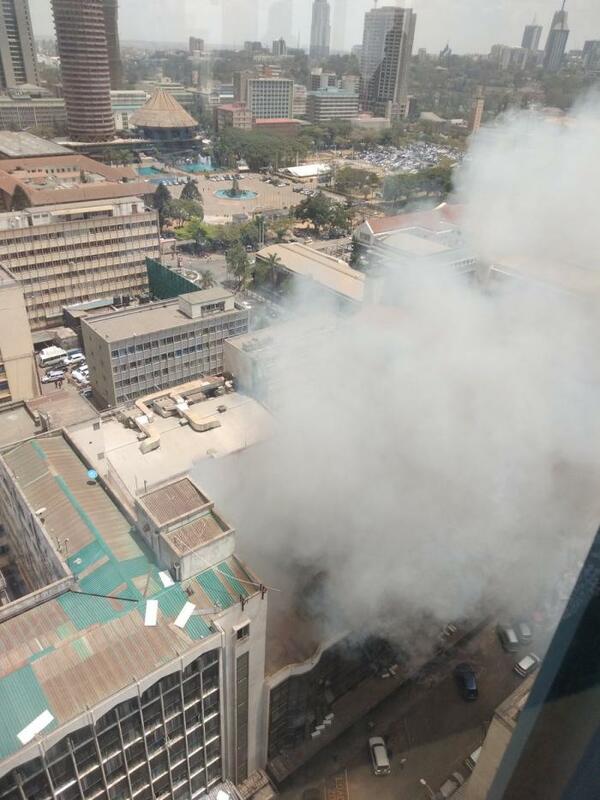 No casualties have been reported by the time of publishing, with witnesses stating that the Nairobi fire brigade was swift its response. Value of the damaged property is also yet to be established as authorities are still at the scene. Below is a video courtesy of Viusasa.